The San Diego Chargers announced their team awards on Thursday and cornerback Casey Hayward led the way, earning team MVP and Defensive Player of the Year honors. Also honored were Melvin Gordon (Offensive Player of the Year), Darrell Stuckey (Special Teams Player of the Year), Matt Slauson and Joey Bosa (co-Linemen of the Year) and Brandon Mebane (Most Inspirational Player). The cornerback is only the third defensive player in the last 15 years to be named team MVP, joining Jamal Williams in 2008 and Eric Weddle in 2012. Hayward is headed to his first career Pro Bowl as he leads the NFL in interceptions and passes defensed. 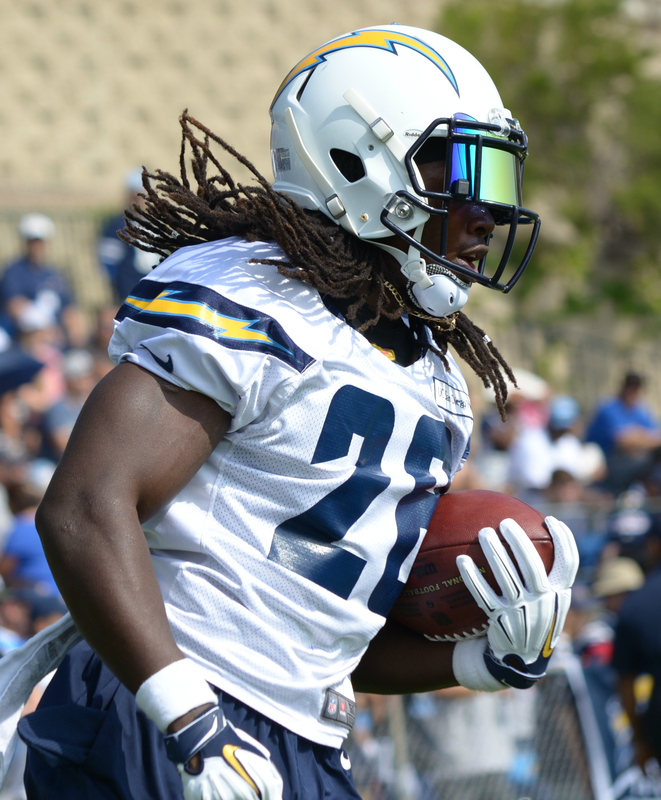 It was a breakout season for the Chargers running back, who became one of the NFL’s top running backs. Gordon is three yards shy of 1,000 on the year entering Week 17, carrying the rock 245 times for 997 yards and 10 touchdowns while catching 41 passes for 419 yards and another pair of scores. It should come as no surprise that the team MVP is also its defensive player of the year. Not only does Hayward have a League-leading seven picks, but he’s also tallied 52 tackles and 23 passes defensed through 15 games. For the third time in four years, the Chargers’ Special Teams captain takes home the hardware. Despite commanding constant double and triple teams as one of the top gunners in the NFL, Stuckey’s seven special teams tackles rank third on the team. In his first year as a true center, Slauson, an eight-year veteran, brought toughness to the Bolts’ offensive line in 2016 as he becomes the first center to win the award since Nick Hardwick. Slauson’s started every game this season as the Bolts have rushed for nearly 1,400 yards and 10 touchdowns, while helping Philip Rivers pass for more than 4,100 yards and 31 scores. The third overall pick in the 2016 NFL Draft, Bosa leads all NFL rookies with 9.5 sacks. The defensive end also has 42 total tackles, 15 tackles for loss, 42 pressures and 12 QB hits. Three times this season, Bosa has recorded multiple sacks in a game. Signed to a three-year contract in the opening hours of free agency, it didn’t take the veteran nose tackle long to emerge as the heart and soul of the Chargers defense. Voted a team captain in his first year in San Diego, Mebane appeared in 10 games before a biceps injury prematurely ended his campaign. While he was a game-changer on the field, recording 35 tackles, 15 pressures, six QB hits, one sack and his first career interception, his leadership in the locker room proved invaluable.